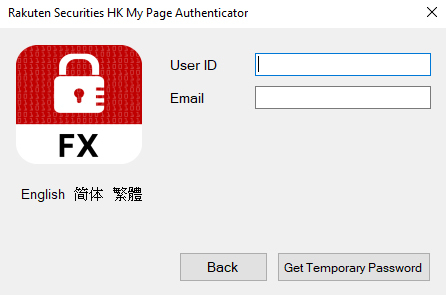 For the purpose of enhancing online trading security, Rakuten Securities Hong Kong will implement two-factor authentication (2FA) starting from late April 2018 and clients will be required to use 2FA for accessing Rakuten FX and Trading Station (TS). Otherwise, clients will not be able to access our trading platform. The second factor authentication will be in the form of a one-time passcode (OTP). For Rakuten FX Client, OTP will be sent by SMS. For TS Client, OTP can be received by SMS and “My Page Authenticator” mobile app. Friendly reminder: For better experience of forex investment, we recommend you to change your password every 90 days. Login to Trading Station platform in a faster way with this new interface. 【Important Notice】 All Trading Station password has been inactivated on 27 Apr 2018 and clients are required to process the first-time login since implementation of 2FA. We have sent an email to your registered email with a link which redirects you to My Page for the first-time login, please go to My Page and enter an initial password provided in the email; you will also need to set your own password for logging in Trading Station afterward. You are required to install My Page Desktop* and run the application for accessing Trading Station – Web & Trading Station – Desktop. For mobile devices, you are required to download My Page Login for accessing Trading Station – Mobile. *My Page Desktop program only supports Chrome and Firefox. 1. Please go to https://mypage.sec.rakuten.com.hk. 2. You can select the preferred language in the lower right corner. 3. 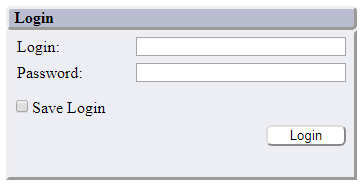 Please enter your trading account number in “Login” field. 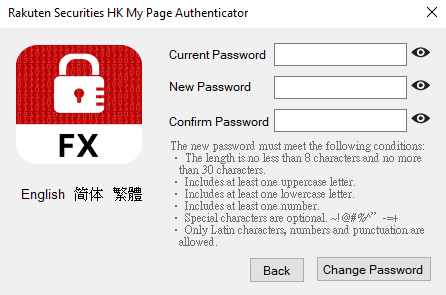 If the trading account number contains capital “A” or “HK”, please use lowercase “a” or “hk”. #Please check your Junk mail if you cannot find initial password email in your Inbox. Please enter the one-time password OTP sent by SMS to your mobile. 2. Please enter the initial password provided in the email. 3. Please enter the new password decided by you. • The length is no less than 8 characters and no more than 30 characters. • Includes at least one uppercase letter. • Includes at least one lowercase letter. • Includes at least one number. • Only Latin characters, numbers and punctuation are allowed. 2. After installation, just simply click and run the program and move to step 3. 3. Go to My Page Website. You may bookmark this link for easy access in the future. 1. A one-time passcode will be sent to your registered mobile phone number by SMS AND My Page Login* app. 2. 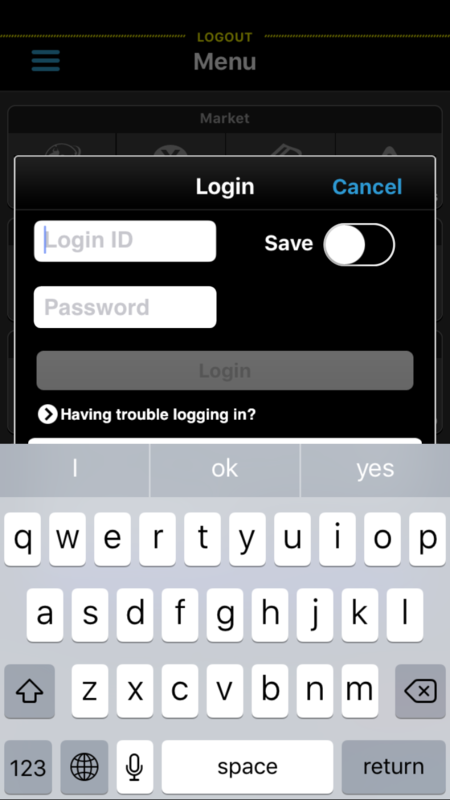 Enter your login ID and password which you set during first-time Login. A one-time passcode will be sent to your registered mobile phone number by SMS AND My Page Login*. Contact us if you do not receive it. Please input the one-time passcode (OTP) within 120 seconds. Please note: a OTP will be expired after 120 seconds. Tap the “Launch TS” button, and it will open Trading Station – Mobile automatically. 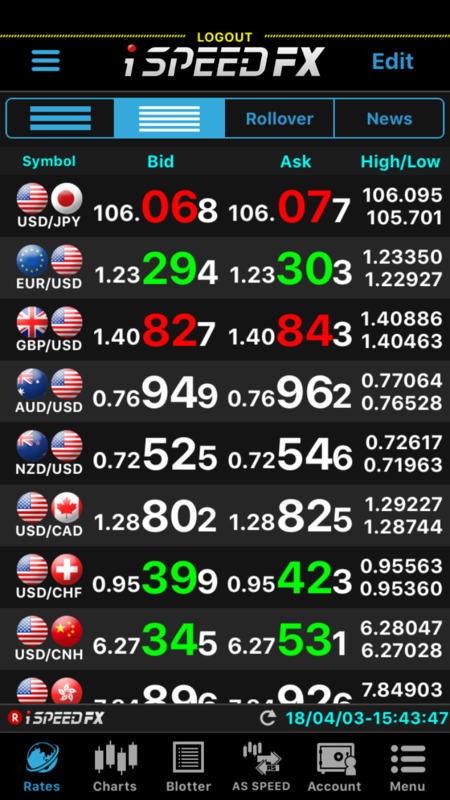 After opening Trading Station – Mobile, all information will be filled in automatically and jump to the forex interface afterwards. Click the Trading Station button under “Web Login” from the upper right corner. It will redirect to My Page. 1. A one-time passcode will be sent to your registered mobile phone number by SMS. 2. 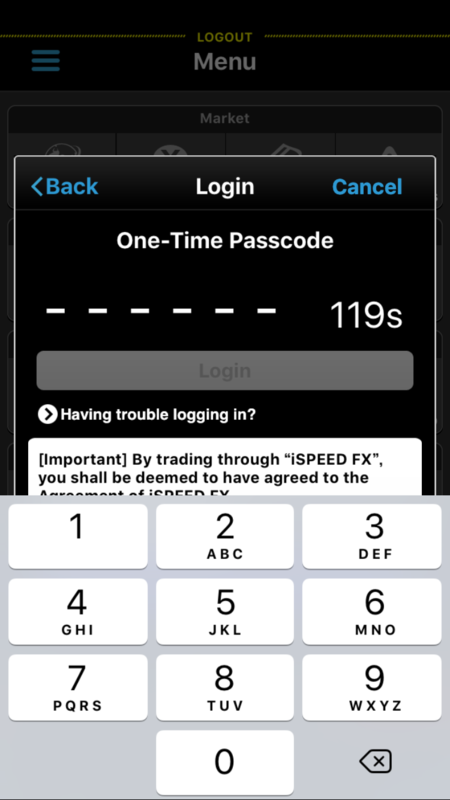 Please input the one-time passcode (OTP) within 120 seconds. 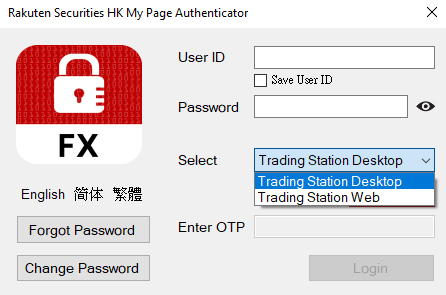 1.What is Passphrase for Trading Station? Passphrase is the password to login into Trading Station after implementation of two-factor authentication. It is a sequence of few words or characters. 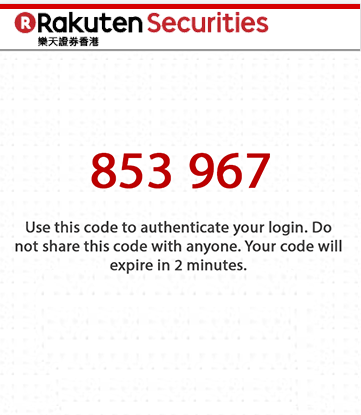 You will receive an initial passphrase which is sent by Rakuten Securities Hong Kong. On the first-time login, you will be asked to change this passphrase. Passphrase is easy to remember and not easy to guess and crack; it also meets the complexity requirement. 2. Why do I need to change my passphrase for Trading Station on first-time login? This is to keep your account secure and private to you. 3.How long can I continue to use my current password for Trading Station? 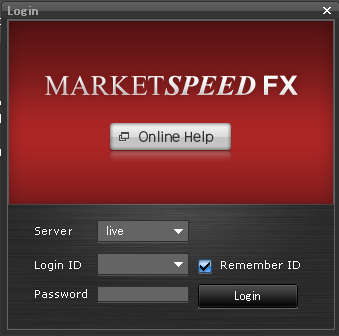 Your current password will be changed as soon as your first-time login into Trading Station. 4.How do I change my passphrase after signing-up for Trading Station? You can change your passphrase using the link on My Page “Change Passphrase”, this link will take you to the Change Passphrase page where you have to provide your Login ID, Current Passphrase, New Passphrase and Confirm New Passphrase. 5. What is My Page Desktop? My Page Desktop is a software which is installed on the user’s system. 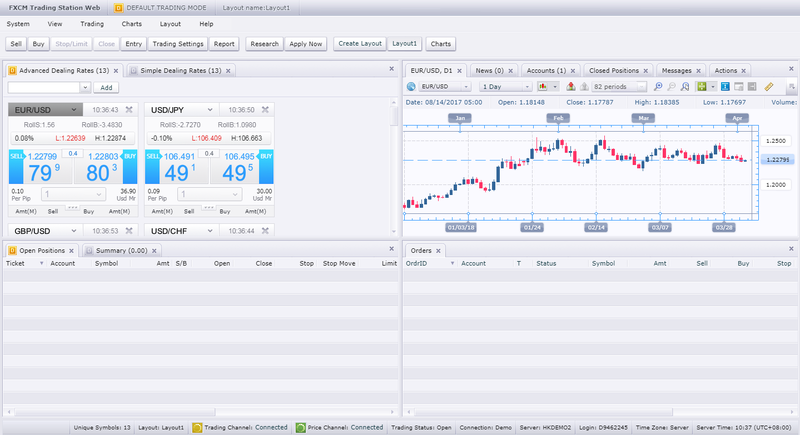 It will help you to get automatically logged in to Trading Station Desktop. Once you click the link on Trading Station Desktop and enter the two-factor authentication information (OTP), My Page Desktop will automatically start and log you into Trading Station desktop. 6. What is My Page App? My Page App is the application which receives 2nd Factor code for logging into Trading Station. 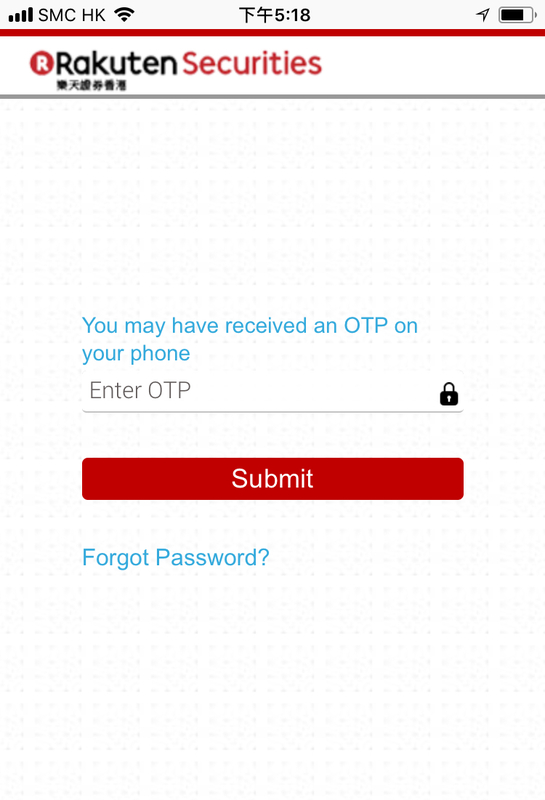 When the login page prompts you for a OTP token, this app can be used to provide this token. 7.How do I install My Page App? My Page App will be available on App Store and Google Play soon. 8. Is there any impact to my existing open positions, orders on Trading Station? No, there is no impact. 9. How do I login to Trading Station Desktop, Trading Station Web, and Trade Station Mobile? Please refer to the instruction. 10.Does my profile setting change after switching to 2FA? 11. How do I reset my passphrase if I forget it? Please click “Forgot Passphrase” on the My Page login page then follow the procedure to reset the passphrase. 12. how to get a one-time password(otp) by my page login? In order to get OTP from My Page Login app; in the first time, you must login the app with Login ID, password and OTP which is sent to your registered mobile phone by SMS. After first-time login, you are able to get a OTP by tabbing Check OTP in My Page Login. 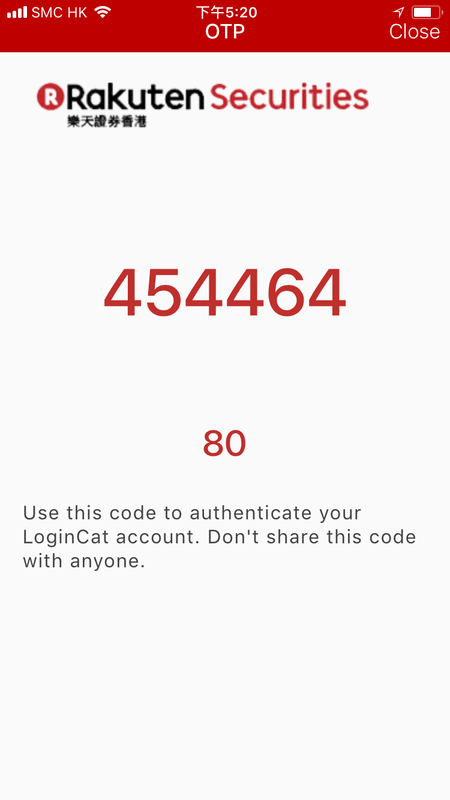 Two-factor authentication is a security process. It consists of two different components, including something you have known (e.g. username and password) and something you have (e.g. mobile phone), to certify user’s identity. Why do we use 2FA? Much more secure – Fraudsters cannot steal ‘something you have’ in your physical possession (such as a mobile phone) over the Internet. Protection for high-risk transactions – All high-risk Internet banking transactions are protected by an additional authentication factor which is physically held by you only. Do I need to pre-register for activating 2FA? No. However, clients need to provide us a valid mobile number to receive One-Time Password (OTP). How does 2FA affect my use of TS trading platform? All clients, who log in to TS trading platform, need to use a mobile phone to receive a one-time password (OTP) for login. No. In order to protect clients’ interest, all clients must use two-factor authentication (2FA) to login. Is there any charge incurred regarding two-factor authentication (2FA)? The one-time password is time sensitive and can only be used once within a short space of time. It becomes invalid upon used or when time expired. Each single login will require one unique one-time password to complete its processing cycle. Why do we request clients to use one-time password (OTP)? It’s the implementation of the Guidelines for Reducing and Mitigating Hacking Risks Associated with Internet Trading (Guidelines) issued by SFC. How do I get a One-Time Password (OTP)? OTP will be sent to our clients’ registered mobile phone number. What if I have no mobile phone to receive OTP? A Mobile phone is needed for receiving OTP. Please update your mobile number by filling in “Change of Client Information” form. Is there any time limit for OTP? Yes. Time limit of every generated one-time password is 2-minute. 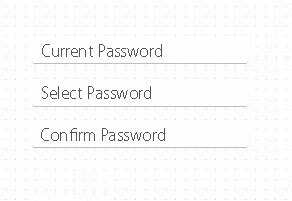 After 2 minutes, the One-Time Password will be expired and becomes invalid. Do I need to input OTP every time when I login to the platform? Can I choose other options to get OTP? Sorry. OTP is considered as the most secure and convenient method. There is no alternative option at the moment. If I lost my mobile phone/device, how can I login to the platform? Please call our customer service hotline at (852) 2119 0116 for any assistance. Why my page does not redirect to trading station automatically? You need to download Flash Player to enable this automation. You may need to clear cache in your browser for this automation redirecting to Trading Station after login. What is the password criteria for my page? • A minimum of 8 characters in length and a maximum of 30 characters in length. • Uppercase letters are optional. Enter your Rakuten FX Login ID and Password. A one-time passcode will be sent to your registered mobile phone number. Please contact us if you don’t receive it. You will receive a one-time passcode from SMS. 2FA will be activated after system maintenance on 21 April 2018 (Sat). For iOS user, please visit App Store. For Android user, please visit Google Play Store. 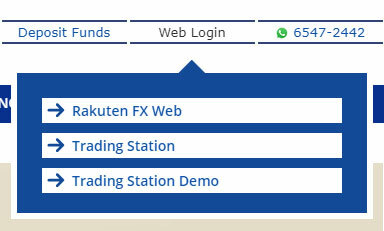 Find the Rakuten FX Web login button under “Web Login” from the upper right corner. To avoid any inconvenience to your online trading, please ensure that you have registered a valid mobile phone number with us in order to receive a OTP. 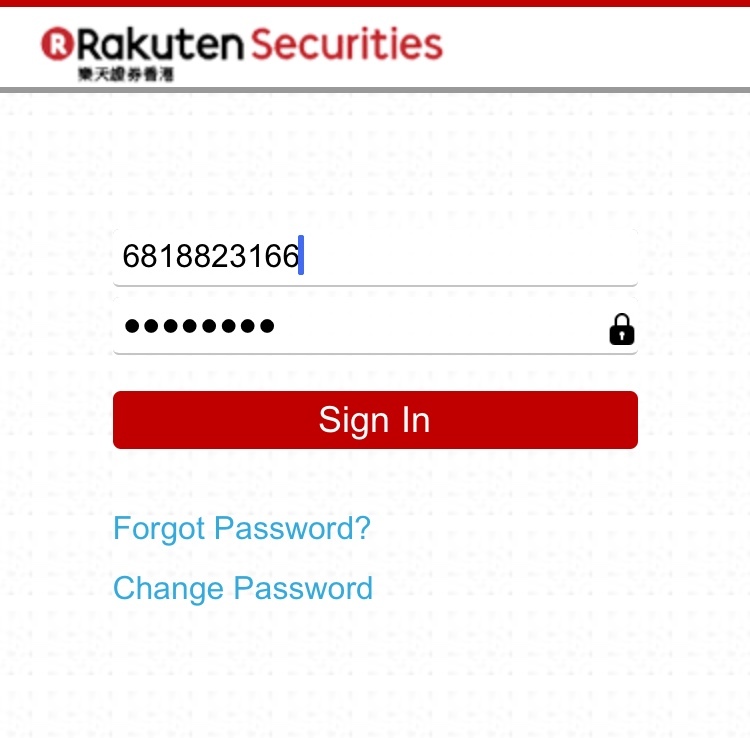 If you need to update your mobile phone number, please submit “Change of Client Information” form to Rakuten Securities Hong Kong. Should you have any enquiries regarding two-factor authentication, please do not hesitate to contact us at (852) 2119 0116 or WhatsApp to (852) 6547 2442 (Message Only). 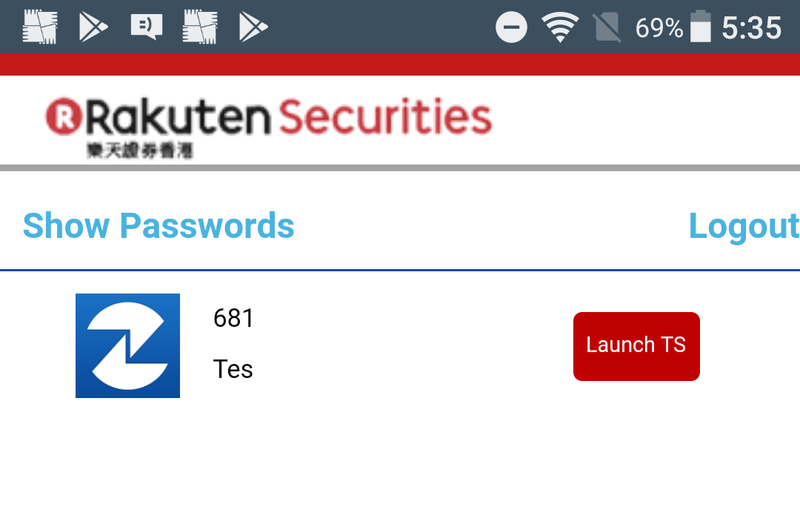 How does 2FA affect my use of Rakuten FX trading platform? 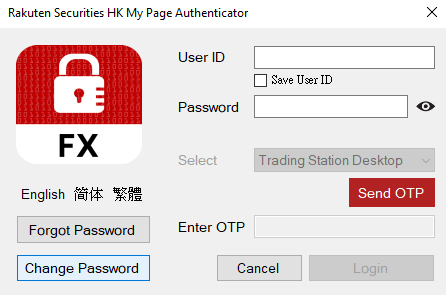 All clients, who log in to Rakuten FX trading platform, need to use a mobile phone to receive a one-time password (OTP) for login.